Biggleswade's finest Italian restaurant & bar. 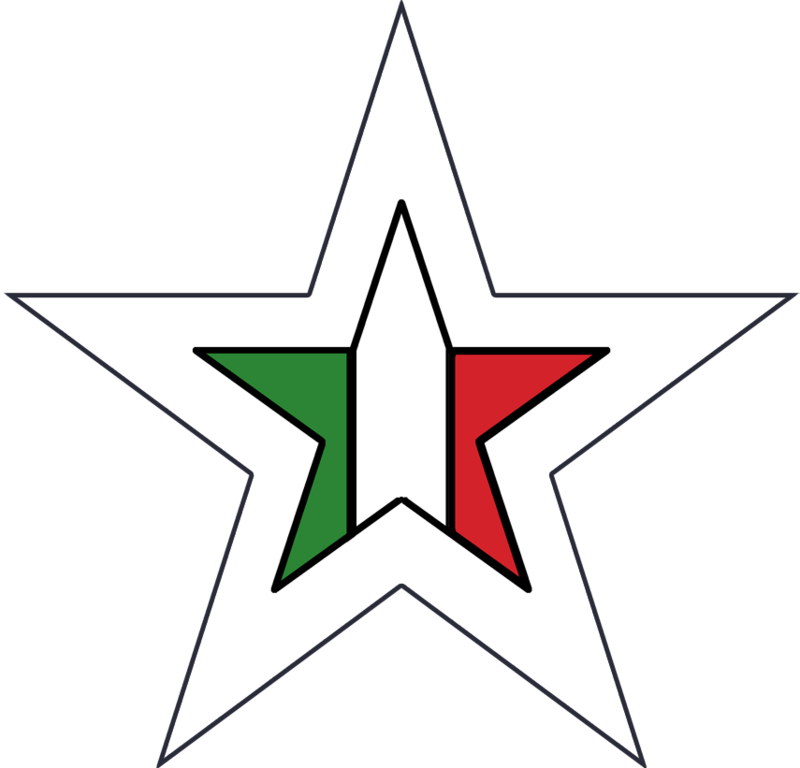 Gabriele Follano was born in 1910. He was raised in Pratola Serra on a farm surrounded by countryside, just outside the bustling port of Napoli. Responding to the post-war need for workers, the entire family moved to the UK during the 1950's, complete with 8 children! They lived and worked in Bedford, playing their part in rebuilding the UK in the aftermath of World War II. Although living in Britain, they were still a relatively poor family and relied on their mamma, Michelina, to provide them with good, healthy food. Drawing on her inspirations from living off the land, she constantly provided fresh, nutritious and, above all, tasty food from hand-grown vegetables and cured meats. It is on these traditions and handed-down recipes that Nonno Joe's was founded. Staying true to our roots, we strive to offer these traditional dishes, whilst passing on the love and passion that was passed to us, their great grandchildren. As Nonna Michelina always said: "la chiave è nella salsa", or "the key is in the sauce" and our sauce is freshly made with authentic Italian ingredients to the very same recipe she gave us. 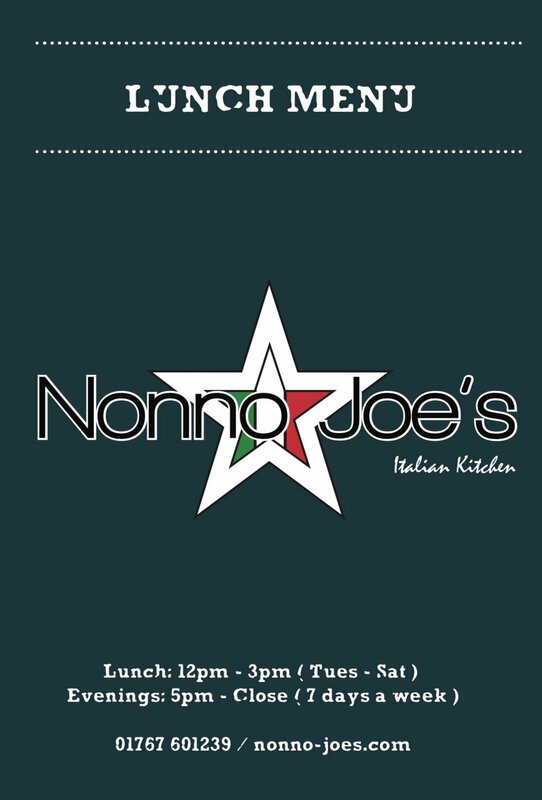 Nonno Joe's is named after the eldest son of Michelina and Gabriele. Generoso, affectionately known as 'Nonno Joe', is grandfather to Joe who runs the restaurant. We hope that you enjoy our traditional food made with our family's recipes. Parking is available in Chestnut Avenue car park which is a 1 minute walk away. Please call 01767 601239 during the above opening hours. Or fill out the reservation form at the bottom. Other ways to book will be coming soon, along with online ordering! Here are our current deals to get your teeth into! Collect your food at any time and receive 10% off your total bill. One of our new Sundae’s! Every bit as beautiful as they look! 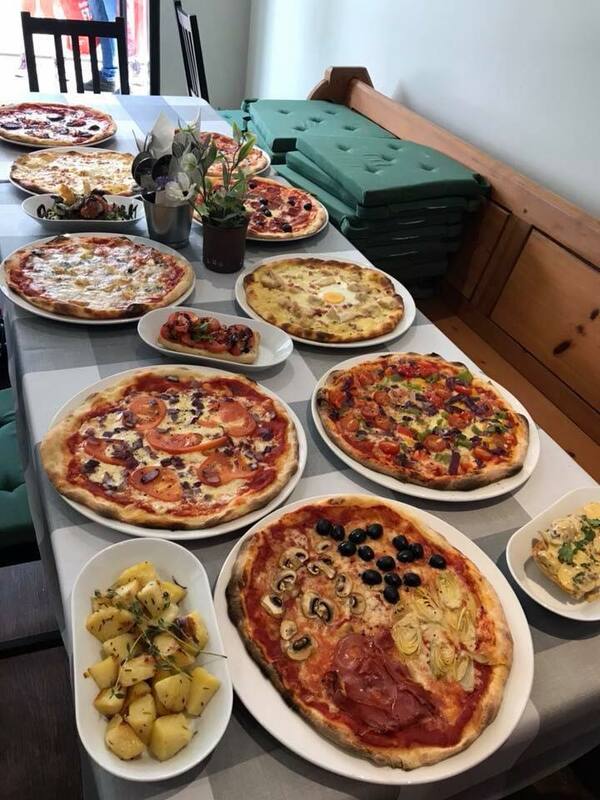 If you sit down between 5pm and 6pm and the table is vacated by 7pm, children up to age 12 can eat a kids pizza or pasta for free with any adult pizza or pasta mains purchase*. Maybe if they’re good, you can treat them to one of our BRAND NEW sundae’s! *Max of 2 free meals per table. Our Mothers day set menu. 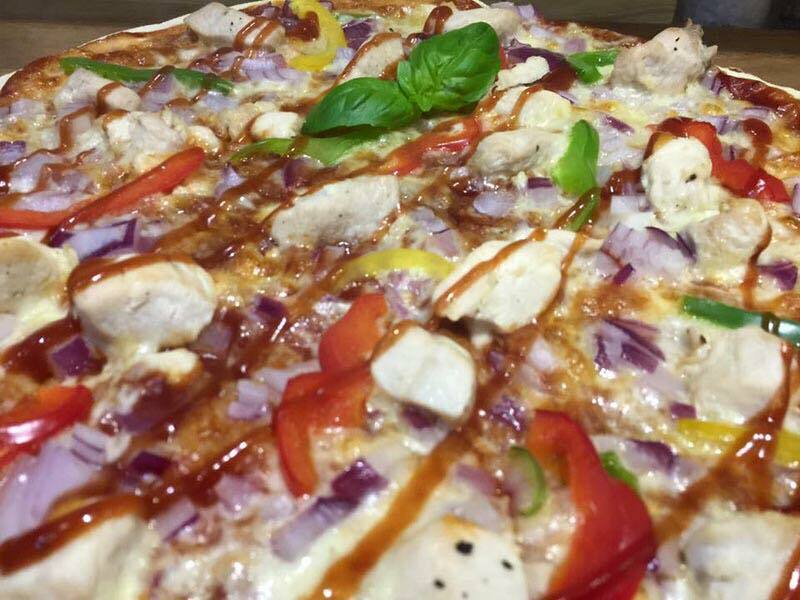 OPEN FROM MIDDAY TIL 11PM - TO BOOK CALL 01767 601239. Or fill out a booking request here on our website. Please use this form to request a reservation. If you wish to make a booking within the next 3 days, please call as we may not be able to confirm your booking in time. Please note: Booking is not confirmed until you have received email confirmation from a member of our team. If your booking is more urgent, please give us a call. Please enter the number of guests for your table. 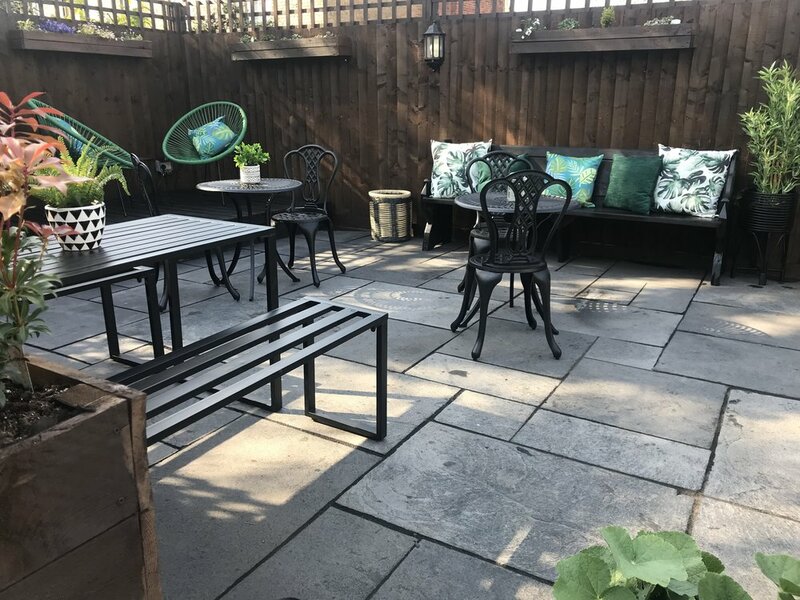 NEWLY OPENED DURING EASTER WEEKEND 2019, WE ARE VERY PROUD OF OUR UNIQUE LITTLE SUN TRAP, SO COME AND JOIN US AND SEE WHAT ALL THE FUSS IS ABOUT! OPEN DURING ALL RESTAURANT HOURS (WEATHER PERMITTING). NO NEED TO EAT, FEEL FREE TO JUST RELAX WITH SOME DRINKS! SAVOUR THE CONTEMPORARY/RUSTIC FEEL WHILST ENJOYING SOME STUNNING FOOD IN THE SUN.